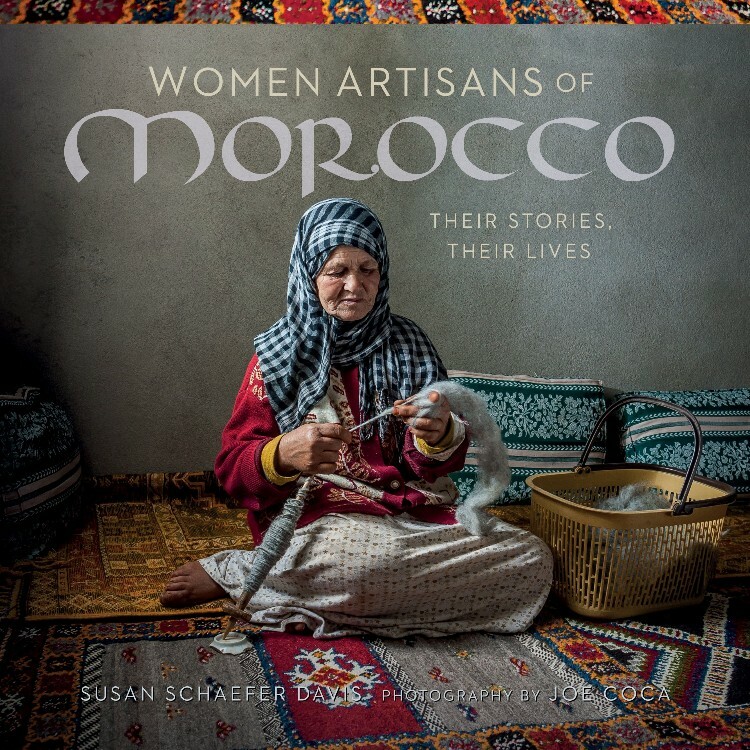 Join us for an author talk and book signing with Susan Schaefer Davis of Women Artisans of Morocco: Their Stories, Their Lives. Susan was also the tour guide for Textile Center’s international tour to Morocco. “Morocco is a wildly diverse land, a confluence of cultures, and home to myriad ancient craft traditions still thriving today. Women spin wool and weave rugs, they hand-knot silk buttons, embroider intricate designs passed down through generations, and sew stunning native costumes. Patrons will also be able to shop a special collection of Moroccan textiles from Cultural Cloth. RSVP that you will attend here. Susan Schaefer Davis, Ph.D., has been captivated by Morocco since she was a Peace Corps Volunteer there in the 1960s. Her work and research with traditional women led her to a Ph.D. in anthropology from the University of Michigan and post-doctoral work at Harvard. Susan has taught or held research positions at Haverford College, Rutgers University, the University of Pennsylvania, the College of New Jersey, and Al Akhawayn University in Morocco. She has published widely on gender in Morocco including two books, Patience and Power: Women’s Lives in a Moroccan Village and Adolescence in a Moroccan Town. In addition to consulting with several NGOs, Susan currently leads cultural and textile tours through Morocco.